Ensure the same customer does not enroll in your loyalty program more than once by enabling unique customer enrollments. 1 - Go to the 'Data' tab in the 'Edit' screen. 2 - Determine which fields you want to collect from customers and then toggle on 'Unique Customer Enrollments'. 3 - Select up to 3 unique fields. In this example, we will select email and mobile number to be the unique identifiers. This means that a person cannot sign up with the same email or mobile number. Toggle 'Enable' for the field you select as unique, and select the field in the dropdown. Note that this will pull from your Data Collection table above. Please ensure you've selected the correct format. You will NOT be able to add any more unique fields to check against. If you disable a field, you will NOT be able to enable it again. If you disable the Unique Customer Enrollments feature entirely, you will NOT be able to enable it again. 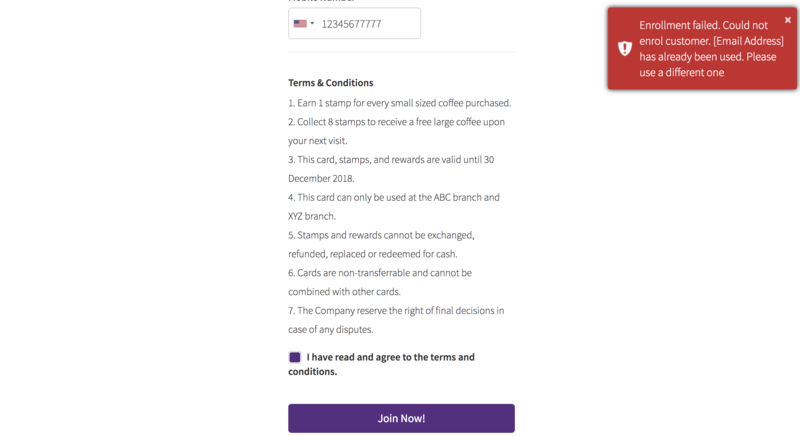 5 - Customers who try to sign up for your loyalty card with a field (e.g. email, mobile number) that already exists will receive an error message. 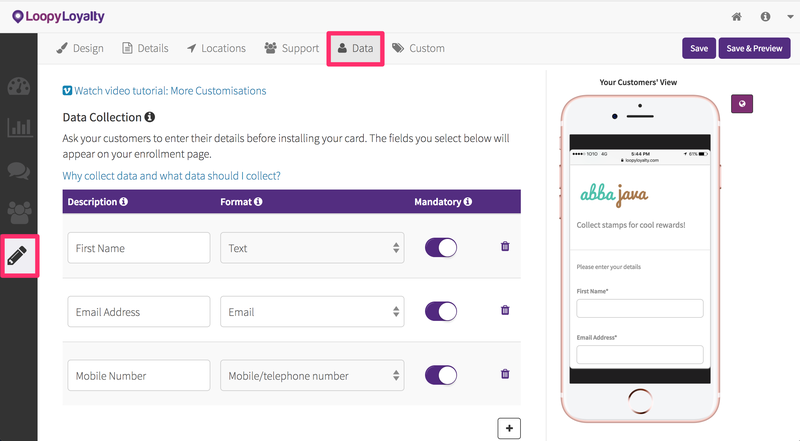 Note: If you delete a customer from your 'Customers' table or modify their personal details (e.g. 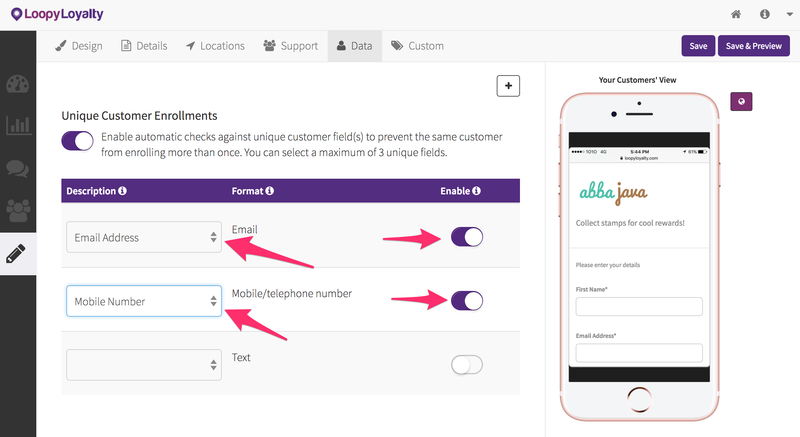 email, mobile number), customers will be able to sign up with that field as it is no there in your customer list.